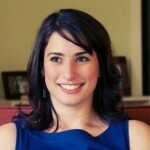 Leslie and David Bachus are expecting their first child together. David contracts with a local plumber, works as event staff on occasion and is currently battling cancer. Leslie works at a restaurant. 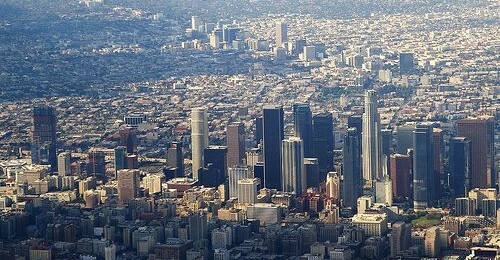 They are also transitioning from homelessness. 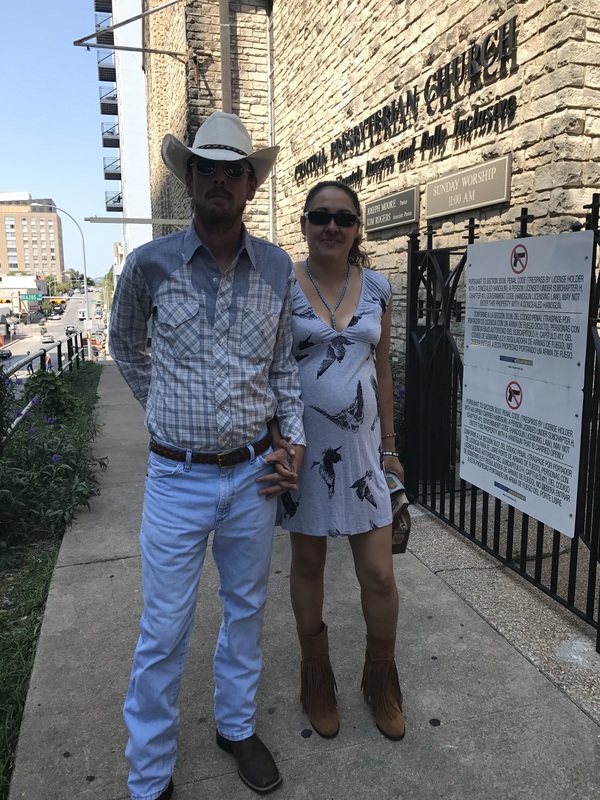 The couple currently live at the Salvation Army Downtown Shelter on 8th Street, and hope to move to an affordable housing community before their baby is born. 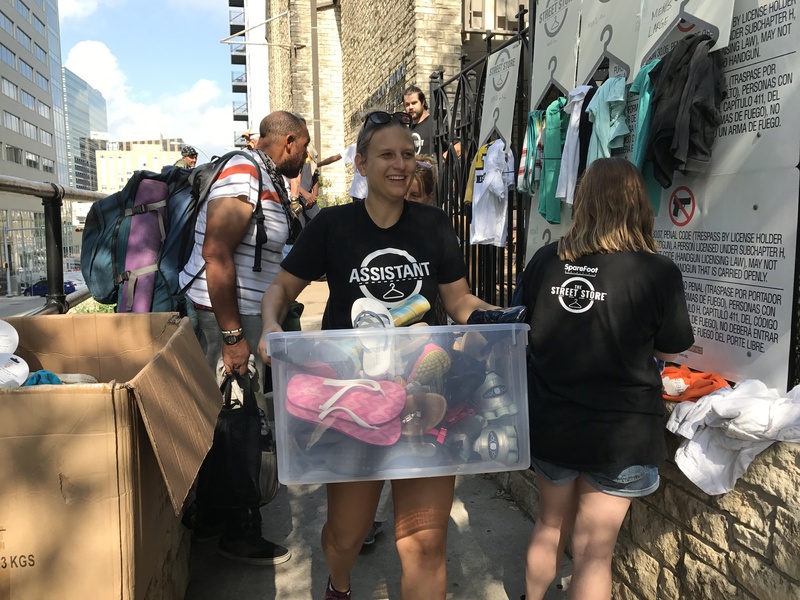 On Friday, SpareFoot co-hosted Austin’s second-ever Street Store — a one-day pop-up store where people experiencing homelessness or anyone in need, can work with a personal shopper to find needed clothing and shoes. 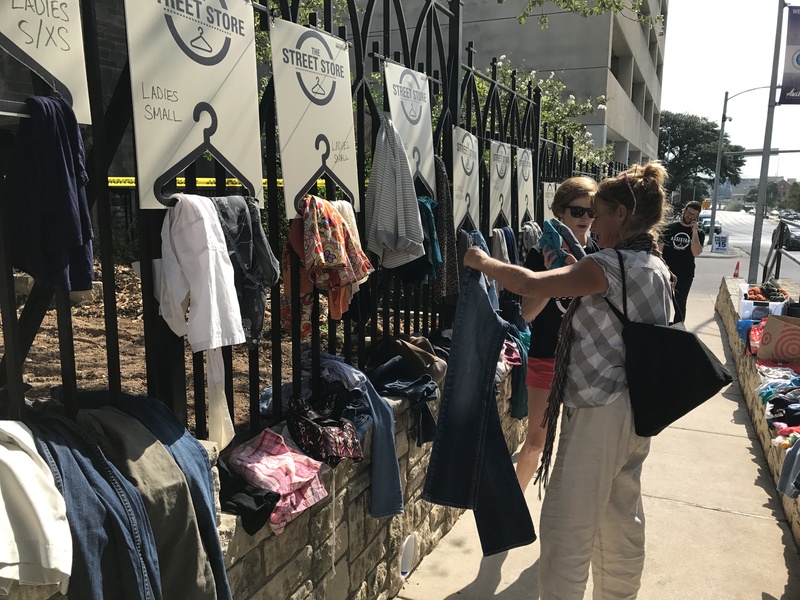 The company partnered with the Central Presbyterian Church and Mitscoots Outfitters to bring the Street Store to life. The first Austin Street Store in 2015 was also organized by SpareFoot. The morning of the Street Store, Leslie told David he needed new jeans. She told him that his old jeans were hanging off of him because he has lost so much weight recently. Leslie was looking for maternity clothes to comfortably wear as she gets further into her pregnancy. SpareFoot employee Cara Johnson happened to be volunteering at The Street Store when they stopped by, and she had a bag of almost-new maternity clothing that she no longer needed. She went through each item with Leslie — who said she was pleased to be able to save her money for rent rather than spend it on new clothing. Cara Johnson and Leslie Bachus look through maternity clothing together. SpareFoot employees had been planning and accepting donations for the store since February 2017, and about 30 volunteers worked to bring the Street Store to life. 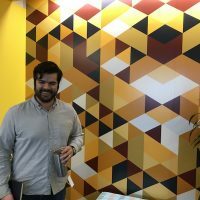 “We met and helped people whose stories varied from being forced into housing instability due to medical diagnoses and the associated costs, to those displaced by Hurricane Harvey,” said Jonathan Lewis, head of SpareFoot’s People Department. “One woman was from Houston and lost her car in the flooding. She relocated to Austin with no possessions other than the clothes on her back,” said Lewis. Christopher Kostos, who goes by CJ, heard about the Street Store when he came to the Central Presbyterian Church for breakfast the day before. He said one of the hardest things about life on the streets is the way those who are not experiencing homelessness relate to him. “Treat us like we’re human. Treat us like you want somebody to treat you. 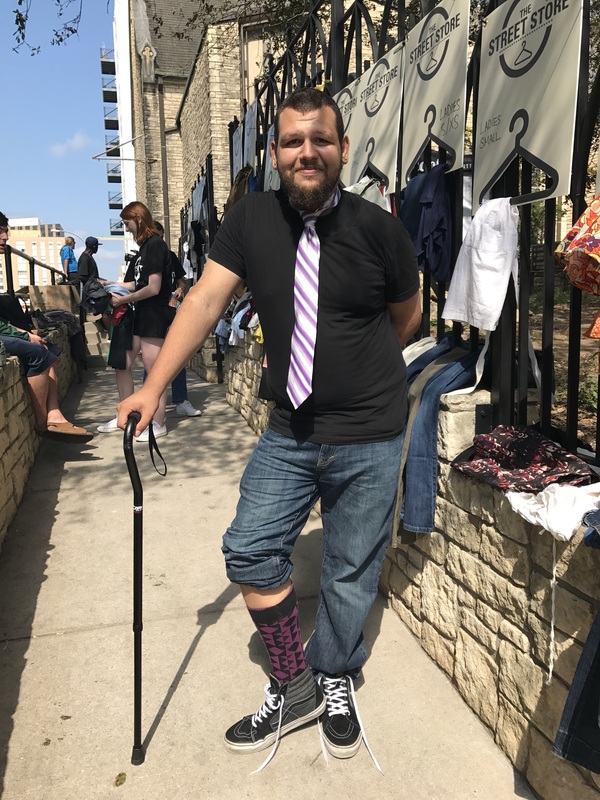 Just because we’re out on the streets, doesn’t mean we chose to be here,” said Kostos, who happily modeled his new shoes, socks, and tie that he picked up at the event. 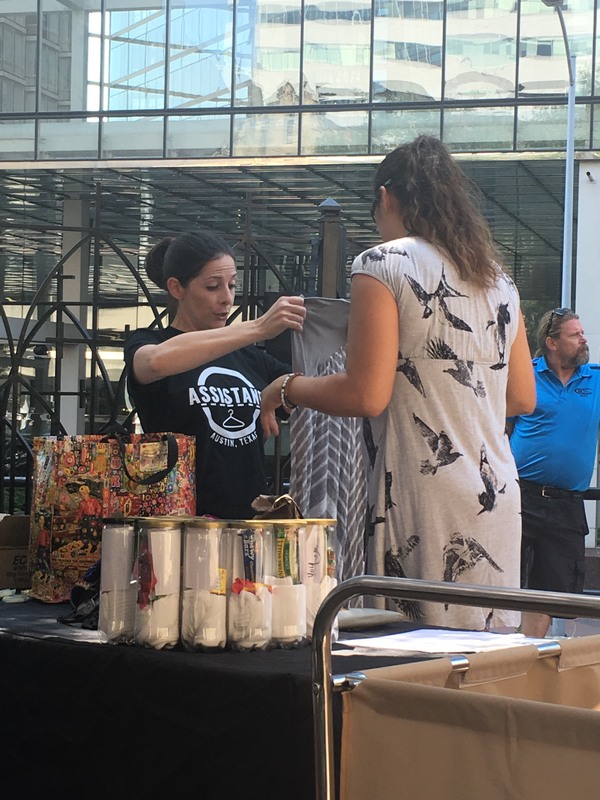 The Street Store provided a personalized shopping experience to about 200 homeless people in Austin. Each shopper had the opportunity to pick out at least five free pieces of clothing and left with care packages from Mitscoots Outfitters filled with hats, beanies, scarves and socks. Leftover items will be donated to Dress for Success and The Salvation Army.